We have some disappointing news for Ghostbusters fans — Dan Aykroyd, OG Ghostbuster and creator of the franchise, just announced that a sequel to the incredible all-female reboot is unlikely. 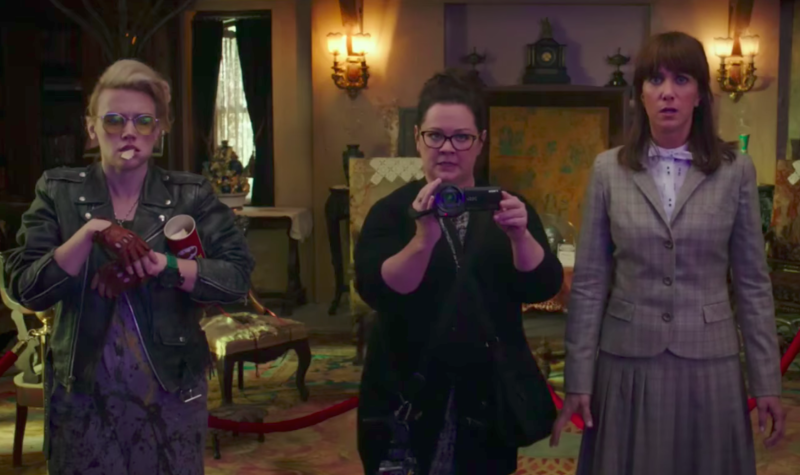 Ghostbusters was easily one of our favorite films of 2016 and we LOVED watching Melissa McCarthy, Kristen Wiig, Kate McKinnon, and Leslie Jones prove that women could be badass ghostbusters, too. According to Aykroyd, we won’t be seeing the ladies and Chris Hemsworth (who played Kevin, the gorgeous but dim-witted assistant) return for another film, due to overwhelmingly expensive reshoots for the first film. In a new interview with Sunday Brunch on Britain’s Channel 4, Aykroyd blamed director Paul Feig for causing the expensive reshoots, rendering a sequel not economically feasible. Not gonna lie, we’re a little disappointed to hear this! Ghostbusters was such an inspiring (and hilarious) film for millions of women and we were really rooting for a sequel. Last year, Aykroyd — who is credited as an executive producer for the film and also had a cameo in the film — defended the film after the all-female cast was criticized. While we’re sure budgeting is always a concern with sequels, we’re still holding out hope that a sequel is made because there’s ALWAYS room for more female badassery in film.